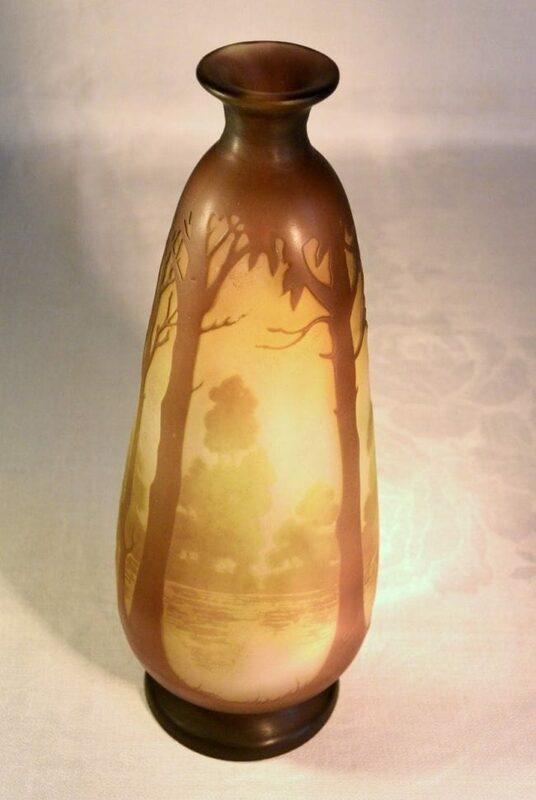 A clear glass vase with an etched decoration of the landscape with a river in the colors violet/brown and green. Inside and outside the vase has been etched matt. "Gallé" carved and underlined. The line is cutting the 'G' in half, the 'e' in Latin script.